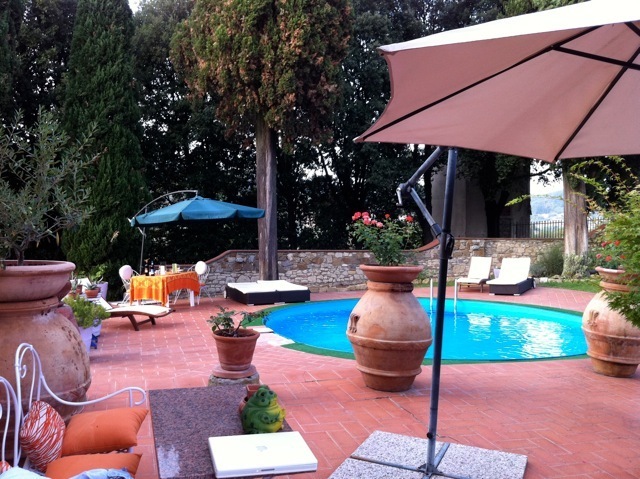 Built in 1585, Villa le Sorgenti is an ancient Reinassence villa sourrounded by a huge oak park and a gorgeous garden where you can find a swimming pool. It has four elegant and coloured rooms and a large and bright common dining room for breakfasts. 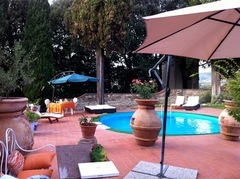 It is very close to Florence and it is in the middle of Chianti Colli Fiorentini. The Villa is sourrounded by vineyards and olive groves from wich the farm produce wine and extra virgin olive oil you can taste in our degustation.